A nice little tree sculpture I made for a friend. 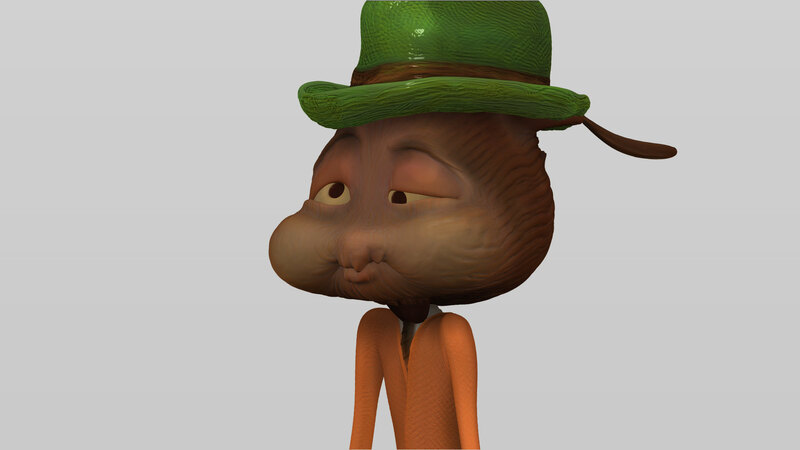 While I am on the subject of trees… Here is a picture of a non zbrush tree sculpt. No way near as easy to sculpt, but a lot more memorable than its digital rival. 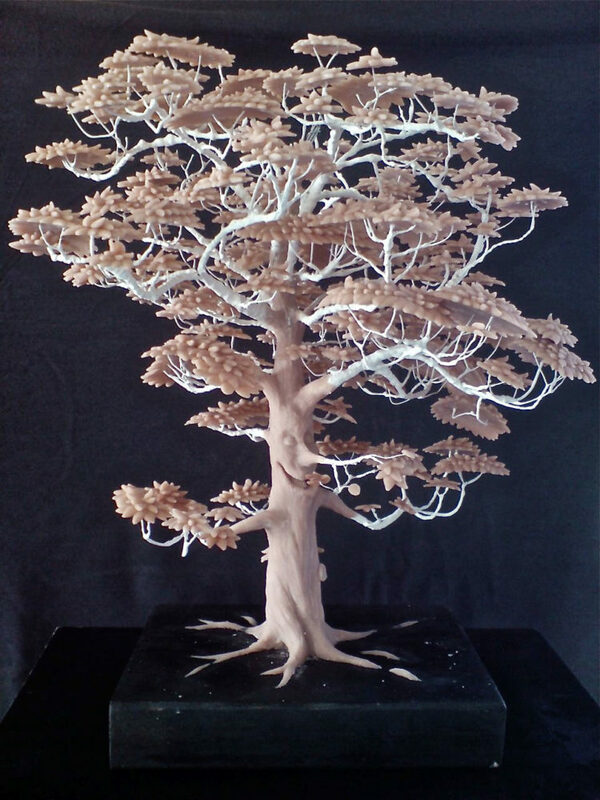 It was made by hand out of wire and super sculpey and if I recall took a few days to make as all of the leaves had to by made individually by hand. I tried using a form for the canopy but it came out rather ugly. Instead I curled and pressed each leaf onto a metal bowl and baked the small clusters in the oven. These clusters were then drilled and glued onto the armature. The armature took a bit of work as well as it needed to be both thin and strong.